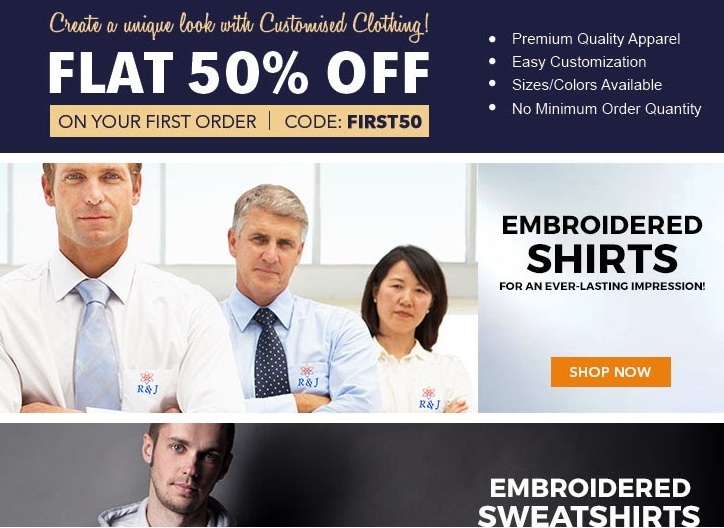 PrintVenue has come up with an excited offer on customized apparels. This is a limited time offer. So, hurry up. How to avail this Printvenue offer? 1. Visit Printvenue offer page here. 3. Buy after applying offer code 'FIRST50'. 2. It should be your first order from PrintVenue.com. 3. There are few more exciting offers available in PrintVenue. You can check them here.